If you have an Elderly or Senior loved one who has some debilitating condition such as a chronic illness, poor vision, or poor hearing, it is too much of a risk not to get them the care or living assistance they need. According to the CDC, falls are the leading cause of injury, death, and hospital admissions for individuals age 65 and older. When you can’t be there to provide care for your loved one, in-home care is an effective solution that allows your loved one to continue aging in place with their independence and dignity intact. 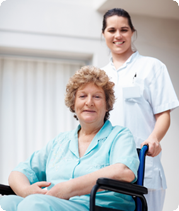 A-1 Home Care is a non-medical homecare agency that provides 24 Hour Home Care in Costa Mesa, CA. Our caregivers, nurse aides, companions, and home helpers have experience with a variety of care situations and can help with essential tasks of daily living such as personal hygiene management, dressing, toileting, meal preparation, daily errands, medication reminders, and more. 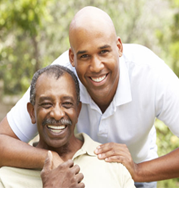 We specialize in Elder Care services ranging from basic Companion Services to more specialized care services such as After Surgery Care, Arthritis Care, Bipolar Care, Alzheimer’s & Dementia Care, Parkinson’s Care, Diabetic Care, Cancer Care, Incontinence Care, Post Stroke Care, Hospice Care, Multiple Sclerosis Care, Heart Attack Care, Lou Gehrig’s Disease Care, Brain Injury & Tumor Care, and Kidney Disease & Tumor Care. All of our homecare professionals must have at least 2 years of prior at home caregiving experience, verifiable professional references, a National Background Check/DMV Check, Tuberculosis testing, Malpractice/Liability insurance, First Aid/CPR training, and a personal interview with our offices staff. 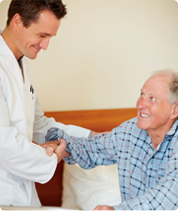 A-1 Home Care is a Licensed Bonded and Insured non-medical homecare agency that has been a care provider in Costa Mesa, CA since 1991 with an A+ Rating from the Better Business Bureau, Shield Accreditation, and memberships with the National Care Planning Council and Chamber of Commerce of Torrance, Santa Fe Springs, Pasadena, and Newport Beach. We serve the OC communities of Costa Mesa, Irvine, Tustin, Laguna Beach, Corona Del Mar, Fountain Valley, Westminster, Newport Beach, Huntington Beach, Garden Grove, Los Alamitos, Seal Beach, La Mirada, Buena Park, Villa Park, Anaheim Hills, Fullerton, Yorba Linda, and others in Orange County. If your loved one has long term insurance, we accept Penn Treaty, CALPERS, John Hancock, MetLife Insurance, Veteran Administration, and Bankers’ Life & Casualty.